The Twelve Tables (451-450 B.C.) 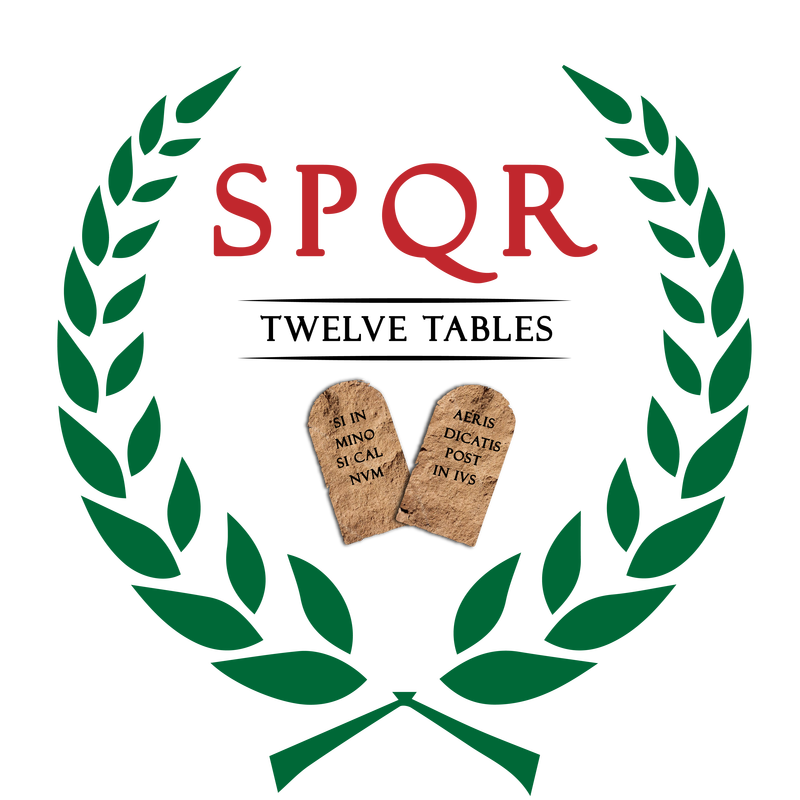 was the earliest attempt by the ancient Romans to create a code of law. It occurred in the midst of a perennial struggle for legal, social protection and civil rights between the privileged class (patricians) and the common people (plebeians). A committee of ten men (later 12) was appointed circa 455 B.C. to propose a code of law that would be binding on both parties and which the judges (two consuls) would have to enforce impartially. It formed the basis of the Roman Republic that the founders of the American Republic admired and sought to emulate. Attempts to bridge the gap between the privileged and commoners has been a perennial challenge to every democratic republic since ancient Rome. Twelve Tables Publishers seeks to address this largely neglected scholarly issue in the 21st Century by publishing original books on the subject. The book focuses upon Donald Trump's third revolutionary effort to dismantle Franklin Roosevelt's "new deal" programs of big government that has dominated America since the depression of the 1930's--85 years ago. The first revolution was Ronald Reagan's "Moral Majority" counterrevolution from 1980-89. The second attempt was led by Newt Gingrich's 1994 "contract with America" and Republican control of Congress in the 1990s. While the first two revolutions made inroads dismantling the federal bureaucracy from the top down, they ultimately failed because they did not have the sustained power necessary to transform government and society. Trump's effort is deeper and more powerful than the first two revolutions. Trump has the support of a massive bottoms-up grassroots movement--the Tea Party which was inspired by the original American Independence Tea Party movement of 1773. In all three cases, the ruling elite opposed the reforms, public opinion polls supported them and the media was hostile to the revolution. Nevertheless, under Tea Party leadership, the American people attempted to assert control over a corrupt and arrogant political establishment. 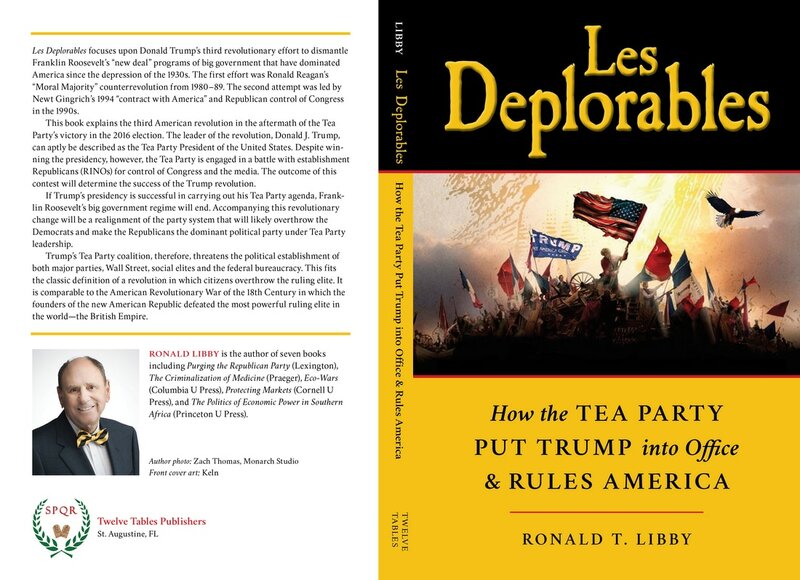 The book explains the third American revolution in the aftermath of the Tea Party’s victory in the 2016 election. The leader of the revolution, Donald J. Trump, can aptly be described as the Tea Party President of the United States. Despite winning the presidency, however, the Tea Party is engaged in a battle with establishment Republicans (RINOs) for control of Congress and the media. The outcome of this contest will determine the success of the Trump revolution. The Tea Party controls the White House which is evident in Donald Trump’s election and his selection of Tea Party endorsed Vice President, Mike Pence, senior White House advisors Steve Bannon and Kelly Ann Conway, and half of the president's cabinet members including Tom Price, Ben Carson, Mike Pompeo, Jeff Sessions, Rick Perry, Nikki Hailey, Scot Pruitt, Sonny Purdue, Ryan Zinke and Mick Mulvaney..
​ Trump’s agenda is also the Tea Party’s agenda. If Trump’s presidency is successful in carrying out his agenda, Franklin Roosevelt's big government regime will end. Accompanying this revolutionary change will be a realignment of the party system that will overthrow the Democrats and make the Republicans the dominant political party under Tea Party leadership. ​ Trump's Tea Party coalition, therefore, threatens the political establishment of both major parties, the federal bureaucracy, Wall Street, social elites, and the federal bureaucracy. This fits the classic definition of a revolution in which citizens overthrow the ruling elite. It is comparable to the American revolutionary war of the 18th Century in which the founders of the new American Republic defeated the most powerful ruling elite in the world--the British Empire.